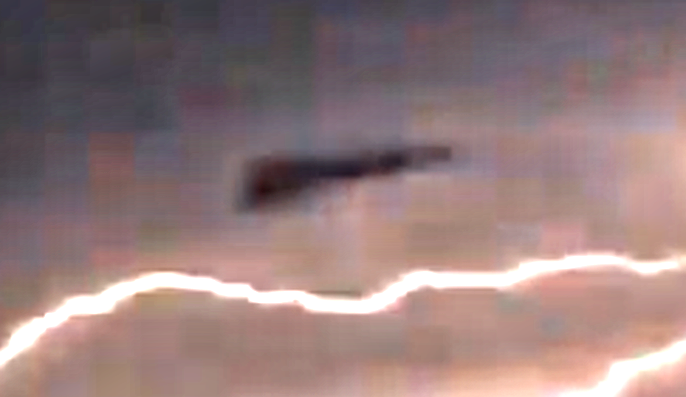 This UFO was recorded during a lightning storm by a kid. The triangle UFO didn’t fly into the storm, I believe its the cause of the storm. UFOs are frequently the cause of strange weather phenomenon like lightning, tornadoes, hurricanes and even earthquakes. Not all are caused by UFOs, but some are. Previous Post:UFO Seen Falling From The Sky During Sunset, Nov 2018, Video, UFO Sighting News. Next Post:UFO With Red And Green Lights Flying Low Along Road In Argentina, Video, UFO Sighting News.